My father-in-law is a pretty normal person if you exclude his cleaning frenzies every single day. He wakes up around 6 in the morning and goes to work from where he returns some when in the late afternoon. In his free time he loves to clean the apartment, play some weird browser games, watching some sports on TV and then its already sleeping time. Basically he is busy the whole day but you are wrong, he squeezes in still his hobby: Table Tennis! His work is not the busiest you might imagine as it leaves him plenty of time to go eating with us (when we are there), buy some groceries and do sports with his colleagues. Usually he plays every day at least one hour table tennis and this already for years. This resulted that he even participated and won the city political bureau championships. I always imagined my father-in-law as a not so sporty person because, I don’t know, perhaps because most of my friends are doing sports partly even professionally and you can see from their appearance that they do something, not so much FIL. Of course every sport is different and I am used to swimming and the like which shapes the body a bit different. Anyways, last years summer FIL invited us to join his practice. I was more than eager to join as that holiday in China was more about our wedding and not so much about visiting new interesting places in Xi’an. As we entered the sports hall several colleagues of FIL greeted us and all of them were playing some matches. FIL was wearing already his sports clothes so he started his warm up and putting on his knee protectors (he is not the youngest anymore). Meanwhile I checked how the others were playing and it looked to me already pretty good but then FIL’s first match started. Lets just say that I could not even follow the ball. Sure, it was no World Championships level but I had never seen anything like it before and I had actually watched once in my youth the Staten Championships in Germany. I don’t know how to describe it other than that the usually so slowly paced FIL transformed into an agile table tennis playing machine. Already by watching him I started to sweat (might be also because it was too hot in that hall!) but he barely got out of breath in three matches. After he was done he asked me if I wanted to play a quick round of table tennis. The stupid me thought of course that he might be exhausted despite the fact that he was not out of breath and not sweating. I lost, I lost terribly. He made me run non-stop and I barely got any points on him. After 15 min I was lying on the ground, out of breath and created a little lake of sweat around me. How embarrassing but at least it seemed I was able to bond a bit with FIL even though I must have looked like the worst table tennis player in history. 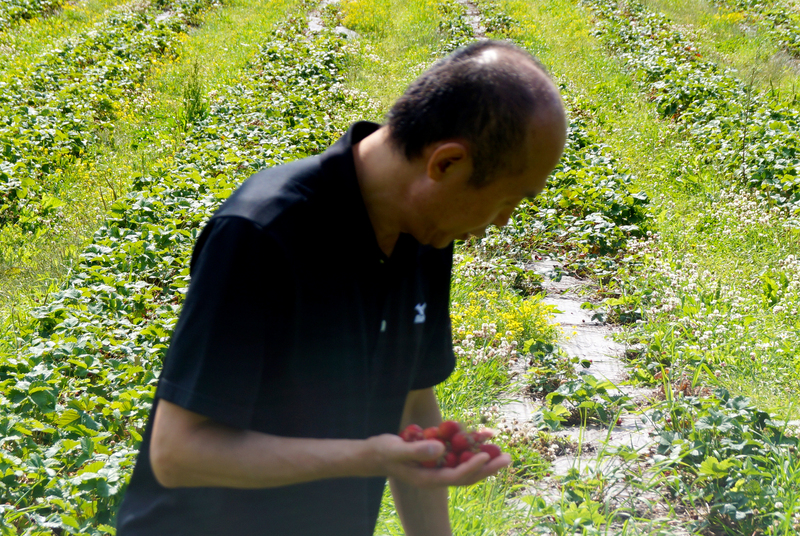 The strawberries seem to pull him down! Latest from this experience I learned not ever to judge someone by their appearance! Ping pong! I always preferred that word, fun to say. Good game. That is all. Sounds that your FIL is an awesome table tennis player and it is so awesome that you got to see him play. And it sounds like he wiped the floor with you, too!! However, in your defense, practice makes perfect and he practices every day!! So, how is the new job? Wow, he seems the veritable pro! That’s cool that he has a hobby that he enjoys, is good at *and* seems to find plenty of time to play. Good for your FIL. 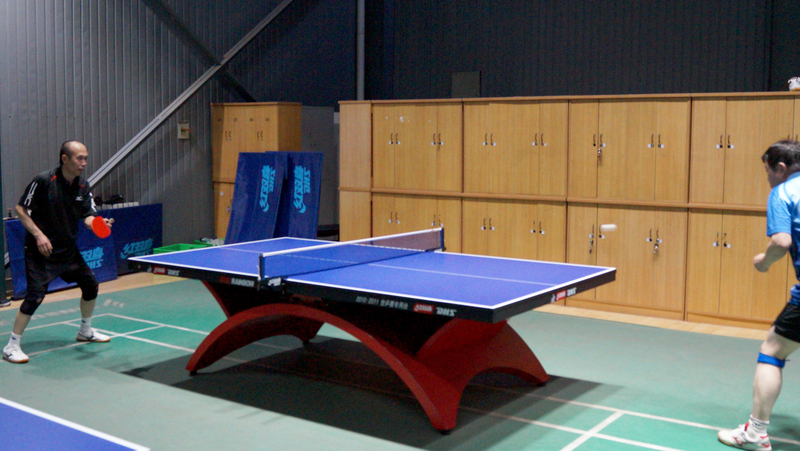 Ping pong is a convenient game–not much equipment or space required, two people can play, and the players get lots of exercize. What a great role model. 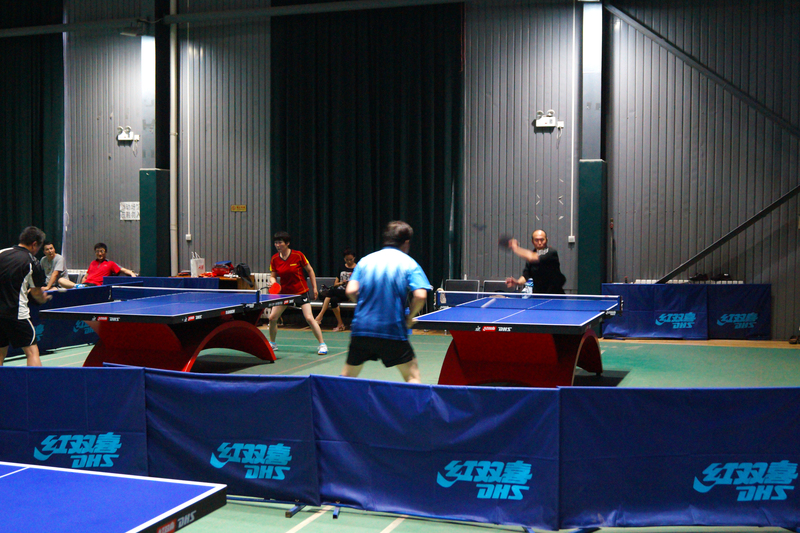 I never understood the Chinese’s obsession with table tennis, but hot diggidy, they really get into it. Thais really like badminton. My b/f is good at table tennis, and I’m not sure if its from spending time in China or if he was naturally good at it first. I’ll have to ask. Me? I’m horrible! In my previous company the people used to play table tennis after lunch, they just player for fun but OMG, the ball was so fast. I played a couple of times and then I gave up, haha. Much to our surprise we learned that my father played it casually for fun with his pals as a teen. We saw him pick up the paddle just 2 yrs. ago with his grandson. It is always hard to lose someone especially to a disease. All of my grandparents died due to cancer and my mother survived it nineteen years ago. The worst is always the fact that you are unable to do anything about it and can just watch. My father was not at all like you FIL. But we did watch in minor shock watching him at 83 yrs. batting slowly a table tennis ball with a teenager-grandson. We had never seen our father attempt to play table tennis again. First time in our lives in front of his adult children. This reminds me on a family friends my parents still visit every weekend. When I was 6-7 years old her mother played with me table tennis, she was back then already 95!